Full-automatic high-speed turbo-type grinder mill belongs to blade-type plastic mill series. With high yield and low energy consumption, this fiber grinder mill is suitable for the powder processing of polythene (PE), polyvinyl chloride (PVC), polypropylene (PP), polystyrene (PS), ABS, nylon, EVA, polyethylene terephthalate (PET), other fiber and plastic materials. 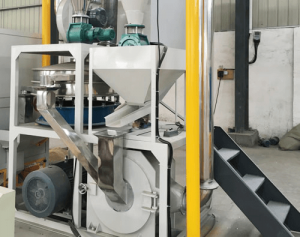 As a part of corollary equipment of waste circuit board recycling plant and aluminum and plastic sorting project, this plastic grinding mill plays a main role in grinding printed circuit board or aluminum plastic composite materials into powder, providing convenience for classification. 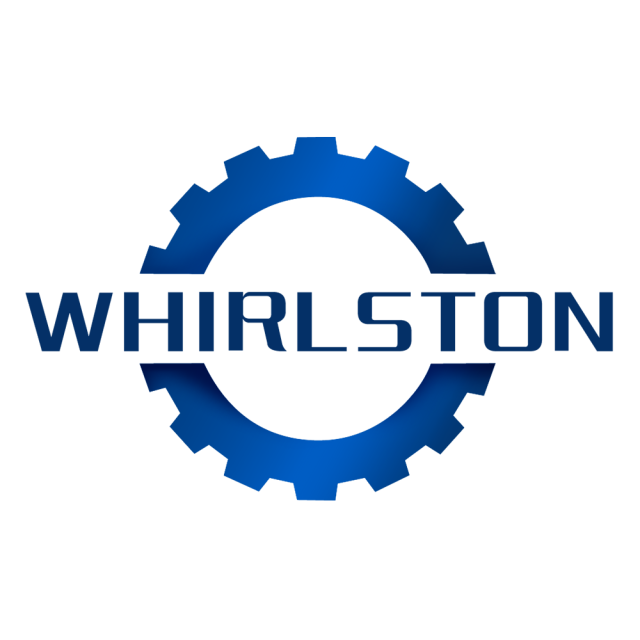 How to deal with the plastic scrap, plastic extrusion overruns, purging, or post consumer plastic? The answer to plastic recycling is simple when choosing a high quality turbo-type grinder mill. On the basis of assimilating the domestic and oversea advanced technology, our factory has elaborately developed this fiber grinder mill that is specially designed for meeting the crying need of plastic material powder grinding. It is helpful to save money and save landfill space – reprocess the defective or out of spec material or the scrap with a plastic grinder mill in order to reclaim the loss. The mill has new disc design, high output and strong abrasive resistance, which makes the lifespan of the new-type grinder double the ordinary. Multifunctional grinder mill adopts the newly designed special bearings, reaching high rotation speed. The main engine cooling system of this fiber grinder mill uses the cooling concept combining wind with water, effectively controlling grinding temperature and ensuring grinding quality. This turbo-type grinder mill is easy to install and convenient to maintain, opening the face plate then operators can clean the machine. The grinding process is full sealed, no chance to lead to dust leakage. This plastic grinding mill is completely automatic, including automatic feeding, automatic separation and automated discharging. It has 10-120 meshes to adjust the fine degree of powders. And the adjustment of grinding gap is simple and convenient, which only needs to use filler gauge and adjust bolt to realize precise adjustment. With reasonable design and smaller milling chamber, materials can be immediately caught, milled and then removed quickly, avoiding the materials temperature rising and decomposition, thereby producing higher yield. 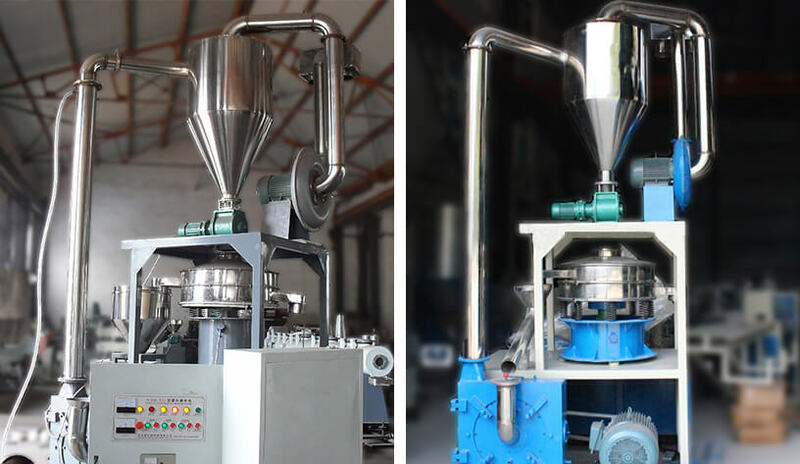 Multifunctional plastic grinding mill is made up of four components: air conveying pipeline, cyclone separator, electric control panel and water supply. Putting raw materials into grinding chamber, through the classification and cooling of wind and water, people can get 40-100 meshes rubber powder. This plastic grinding mill can crush materials with 10-30 meshes to 40-120 meshes. It has been successfully applied to grind low & high-density plastic materials, like PE, PVC, PP, PS & similar heat sensitive materials, becoming the best equipment for plastic factory to save the cost, solve and recycle the waste.